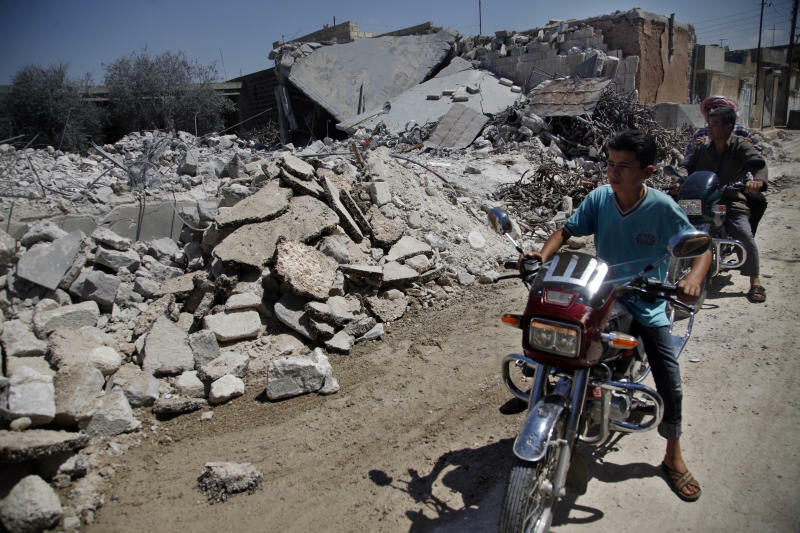 AZAZ, Syria (AP) — Residents of this north Syrian border town like to snap photos of their children atop the tank parked downtown, one of more than a dozen captured or destroyed by rebels in the battles last month that "liberated" the area from President Bashar Assad's army. Across the street in air-conditioned offices once occupied by Assad's Baath party, a new political order is emerging. Local rebels have formed committees to fix power lines, fire up bakeries and staff the nearby border crossing with Turkey. They also run security patrols and a prison with some 60 captives. Two men were executed by firing squad recently after a judge and Islamic clerics found them guilty of murder. The area extends about 50 kilometers (30 miles) south of the Turkish border and from the edge of Idlib province in the west to the cities of al-Bab and Manbaj some 130 kilometers (80 miles) east. Its southern edges reach the outskirts of Aleppo, Syria's largest city and for weeks the scene of heavy battles as regime forces try to uproot rebels who have taken control of several neighborhoods. The pocket is not an outright safe zone. The military holds two bases within it — at Mannagh airport near Azaz and at an infantry academy north of Aleppo. From there, it shells nearby towns daily, wrecking buildings and killing people. 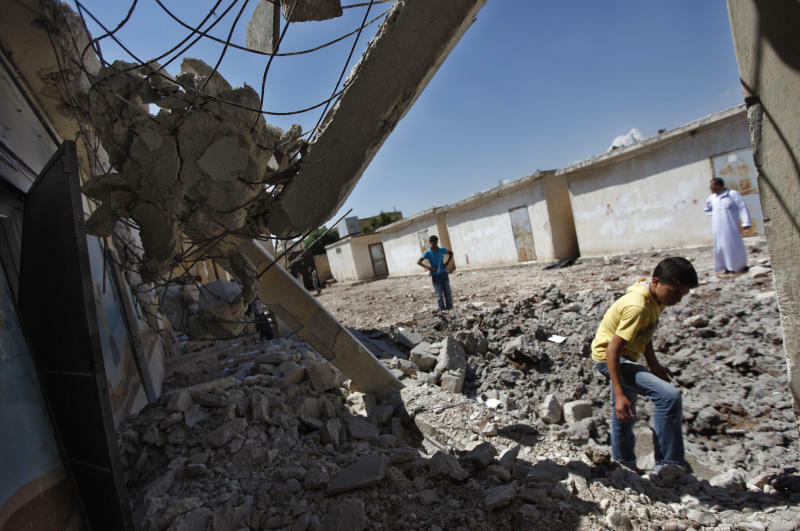 It often targets rebel enclaves with helicopters and fighter jets; there remains a continual back-and-forth of residents fleeing homes around the areas. While still new, these early organizational efforts shine a light on the priorities of rising local leaders. When asked, all say they want a civilian state that respects its citizens. More concerning to the West and to Syria's religious minorities, most said that Islam was their guide more than any political ideology. What that means for them remains unformed in many ways, but what is clear is that they seek a role for religion in public life after four decades of secular rule. "Religion is the basis of everything for us," said Abdel-Aziz Salameh, head of a "revolutionary council" that coordinates various rebel factions in Aleppo and the nearby countryside. "It is the driving force of the revolution." Salameh spoke from the basement of the police station in Tal Rifat, some 30 kilometers (20 miles) north of Aleppo, now the headquarters of one of Syria's largest rebel groupings, the Islamist Brigade of Unification. Fighter jets screeched overhead, and the dull booms of shelling punctuated the conversation. "May God curse you," the 46-year-old honey distributor said, looking up as the lights flickered. Like most rebel leaders, Salameh bemoaned the lack of military support he said the rebels had received from abroad. The small amounts trickling in from governments and private groups he declined to name have done little to help his fighters, most of whom carry arms taken as booty or bought from dealers in Turkey or Iraq. Salameh acknowledged that many rebel groups operate independently and that a small number want to kill Shiite Muslims and Alawites, the Shiite offshoot sect to which Assad and many in his regime belong. He said such views violate the tenets of Islam that his group follows, but said not all fighters can be vetted. "When we're at war, I don't have time to ask every fighter what his views are," he said. "I tell him to put his rifle next to mine and fight." Most of the brigades in the enclave region formed to fight the army in their own towns and moved on only after their streets were "liberated." Many of these battles were Pyrrhic victories, leaving entire areas destroyed and depopulated. At the center sit the charred shells of the police station and city hall, which troops occupied in February. For months, local rebels attacked their positions and tried to cut their supply lines. By the time the army left in June, the city was destroyed and deserted. 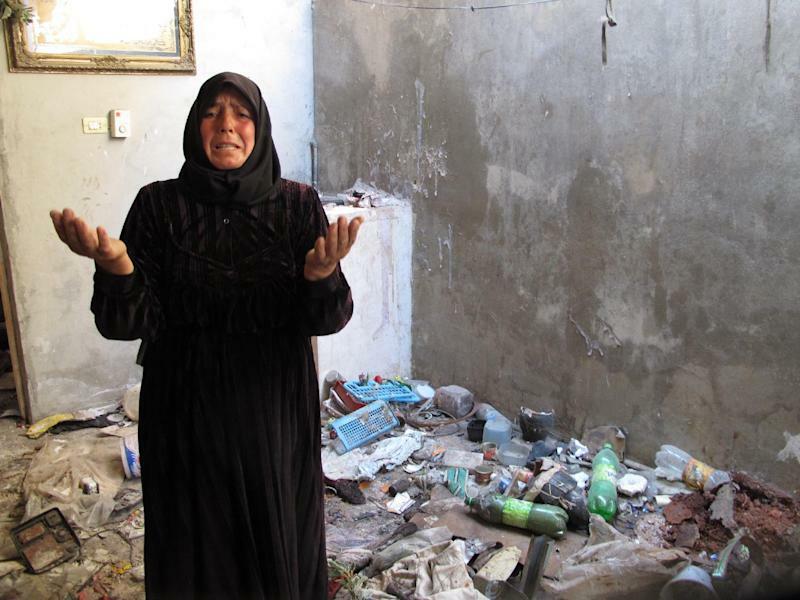 Nearby, Fatum Obeid, a 50-year-old widow, wandered through the wreckage of her simple home, asking God to destroy Assad and his mother. Two of her sons had been killed in the uprising. One returned from his mandatory military service in a body bag with no explanation. Another was shot dead by a government sniper before she and other residents fled to nearby villages. "We'd sit and watch the troops come, then hear the booms and see the smoke," she said. Town leaders have formed military and civil councils and opened a prison that holds some 15 people. The army still shells the town daily, keeping residents away, and making some wonder how free they are. "It's not liberated because you can't sit down without worrying that a rocket will fall on you," said a local activist who declined to give his name because he often travels to Aleppo. The violence has caused a continuous human tide, first pushing rural residents into Aleppo and then out as the battle there rages. As shelling continues around the province, it is common to see large families driving trucks piled high with washing machines, mattresses and bags of clothing. Many seek shelter in schools, farms and unfinished buildings in villages that local leaders have struggled to keep safe. The refugees have doubled the population of the village of Maaret al-Artiq to 25,000 in recent months, said Omar Zahra, a resident who helps them find shelter. "They'll live in any building they can find as long as it's better than a tent," he said. In his vast, carpeted office, Omar, the silver-haired former teacher, fielded calls on three cell phones and two land lines while chatting with visitors. When asked how he got his job, he said it was "automatic" because of his role in the uprising. As he spoke, however, the now-familiar sounds of a protest rose from the streets below — but this time with a twist. "This protest is mostly against me," Omar acknowledged with a laugh, dismissing the few dozen marchers as upstarts who wanted power without working for it. "They feel they were left outside," he said. "But should someone who was sitting on the sidelines come and sit here, or someone who was here for the battle?"